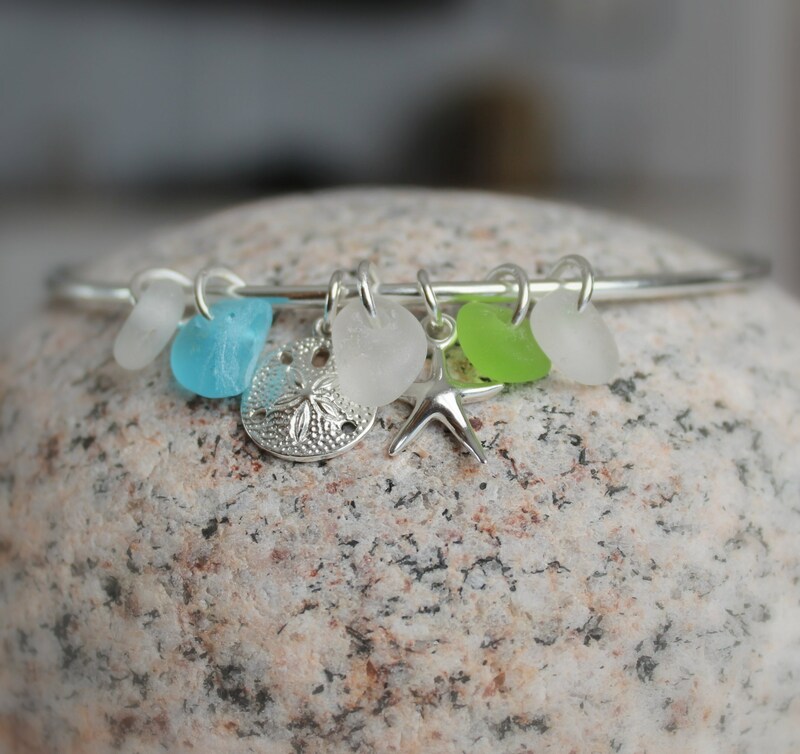 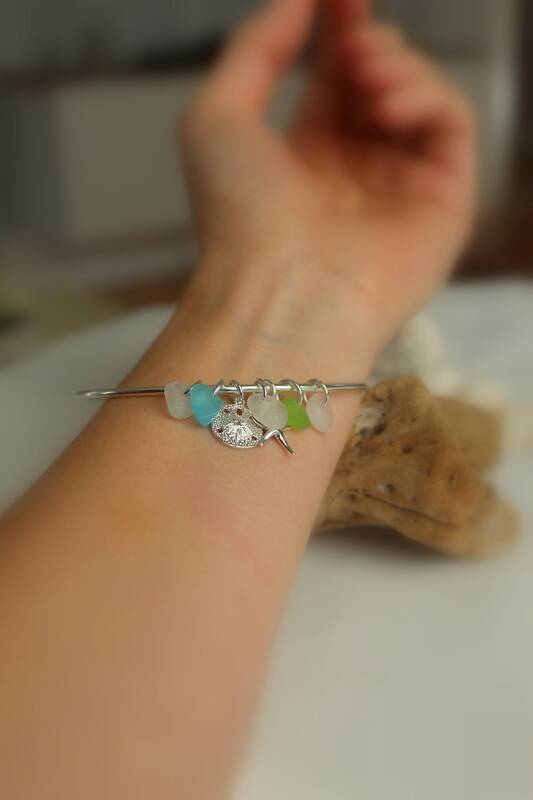 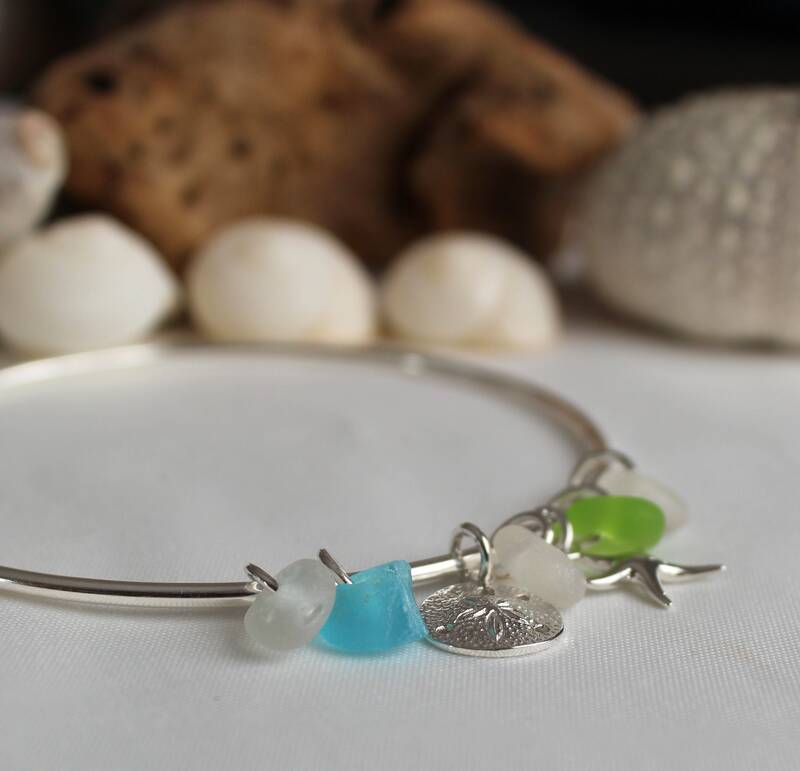 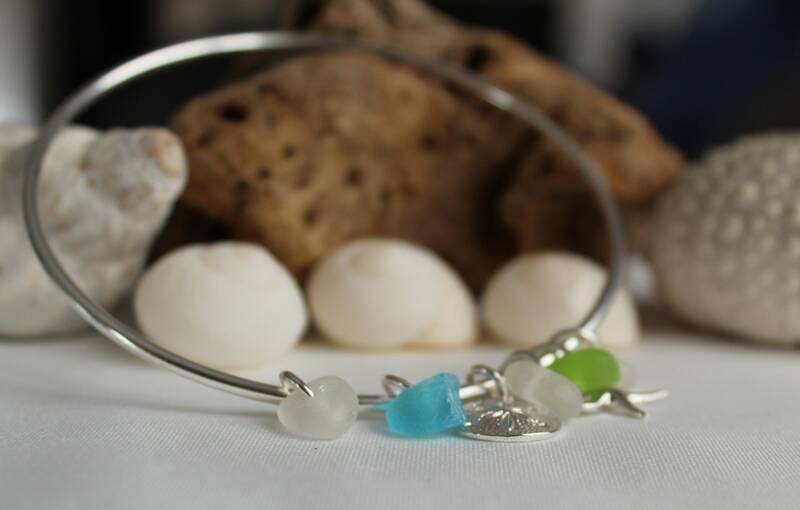 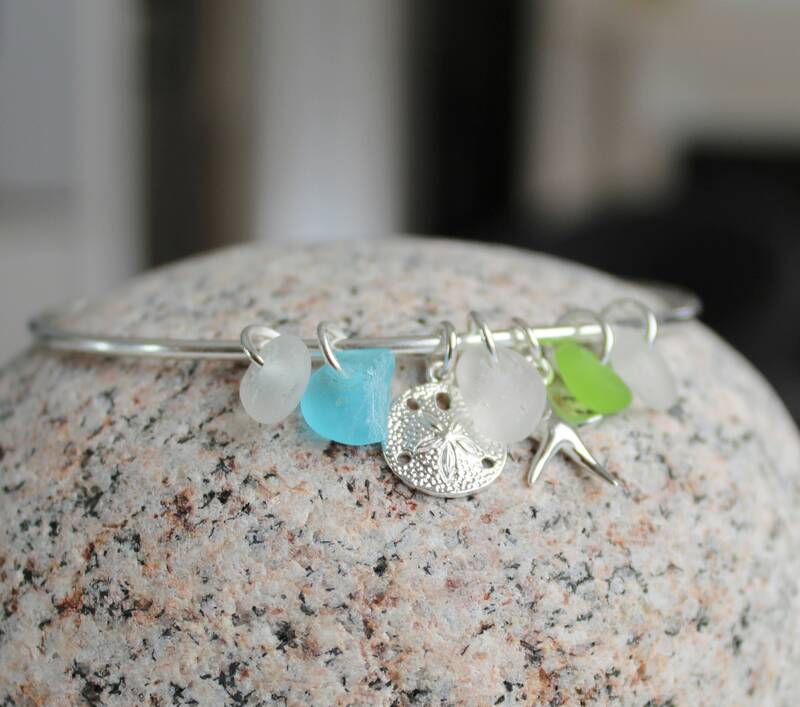 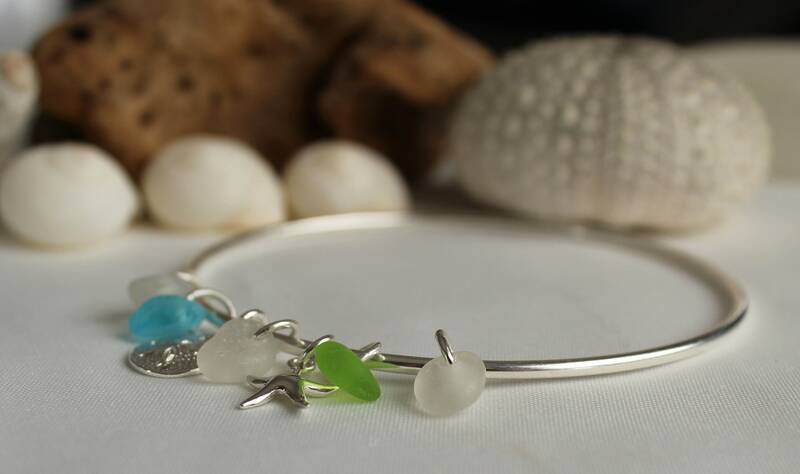 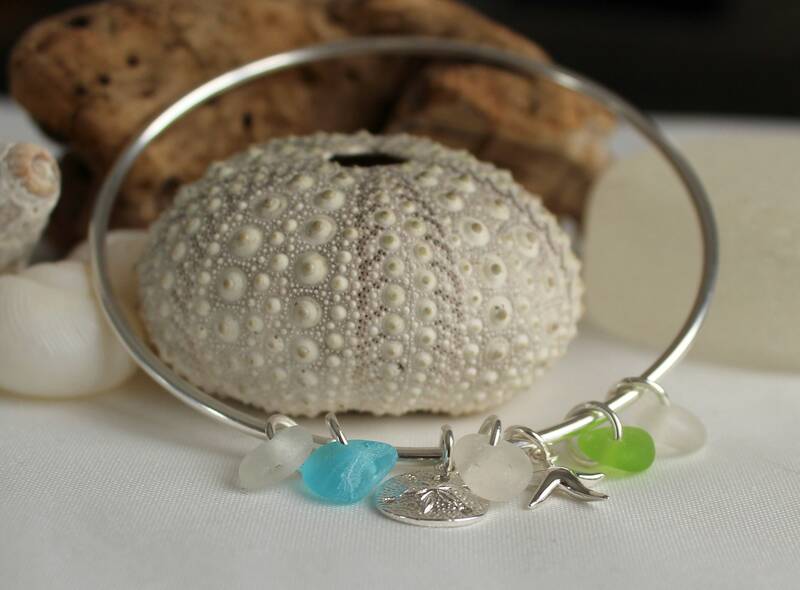 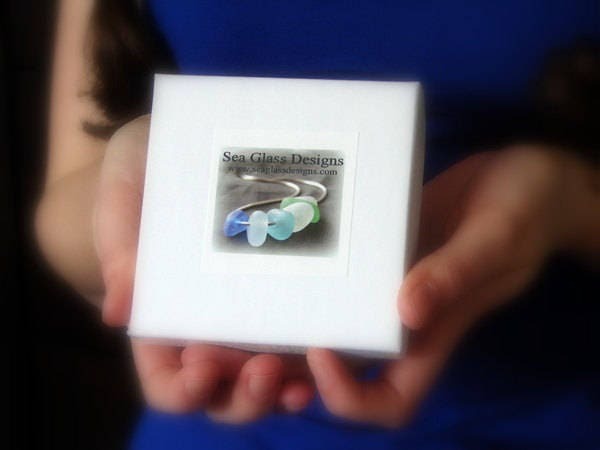 Our Ocean charm bracelet is made with sterling silver and genuine sea glass in aquamarine, green and white. 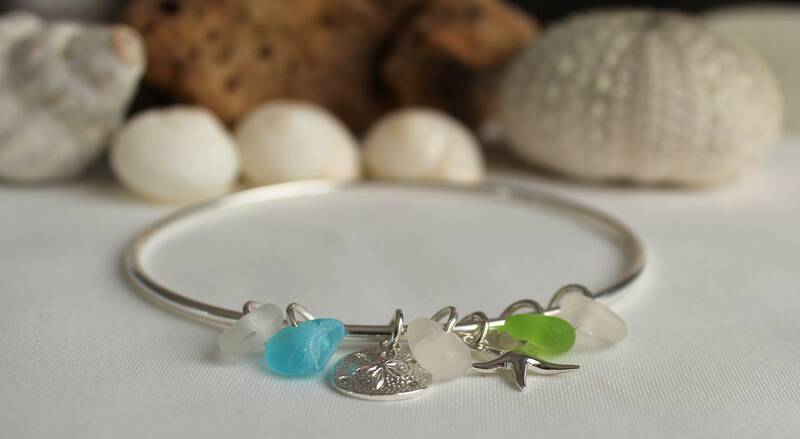 The sand dollar and starfish charms, as well as the sea glass pieces, slide freely around the bracelet, giving you lovely movement. 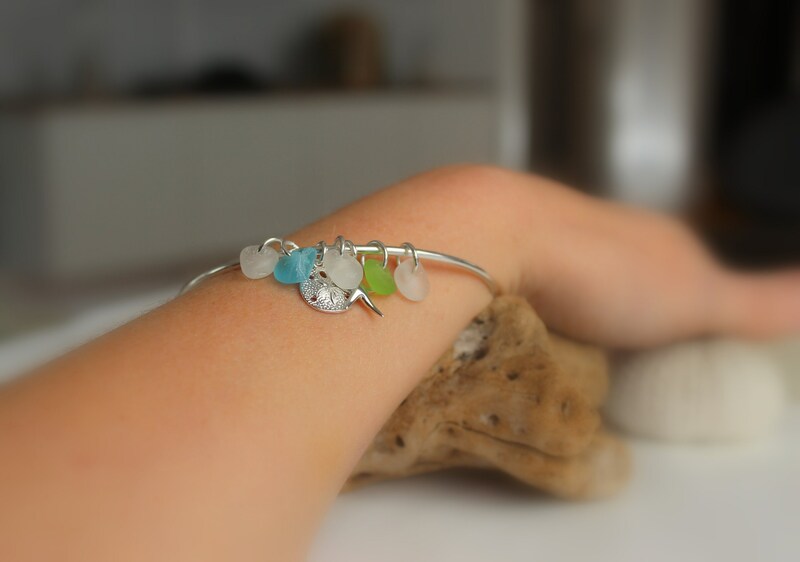 The bangle measures 2 7/8 inches in diameter, and may be worn alone or stacked with other bracelets.